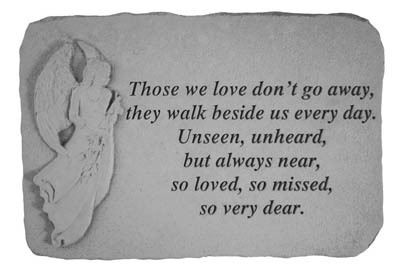 This memorial stone is made of cast stone that has the look, feel and weight of true stone. It is weatherproof and guaranteed to last a lifetime. It can be displayed in the ground or hung. It has a hanger cast into the back to allow display on walls, fences, or outbuildings. Made in USA. - Crafted of cast stone for a rich texture and year round durability. - Has the look, feel and weight of true stone. - Weatherproof and guaranteed to last a lifetime. Tree Planted In Memory Stone..
* Ready to ship in 2-3 weeks. Add 1-5 ship days. * Draft is provided in 2-4 days. After draft approval, ready to ship in 1 week. Add 1-5 ship days.